People ask me for suggestions all the time on what they should wear for their sessions. I always say, you should coordinate, but not be too “matchy.” The best way to coordinate, is to take colors from one one pattern and use those colors as a guide to find a harmonizing scheme. Make sense? 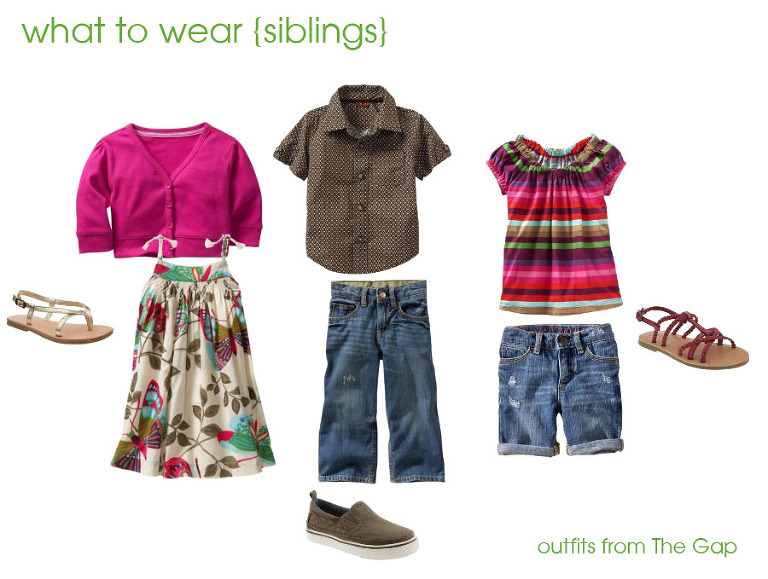 Here is an example using a clothing set I designed for siblings. All of these pieces below can be found at The Gap. If you need help finding outfits for your session, I provide a complimentary consult on clothing choices. Just ask! I just found you through CM. I am just starting up, out of Willimantic. I was at Elizabeth Park on Saturday for the first time…beautiful!